Established in 2010, the Reims campus will eventually accommodate the largest number of Undergraduate College students of all the Sciences Po campuses. Students taking this English-language programme explore transatlantic relations through a comparative approach to studying institutions, law and foreign policy, including such major and varied issues as international diplomacy, environmental governance or an introduction to gender studies. Students can study one of the languages offered on the campus: English, Spanish, German, Italian or Arabic, as well as attending French as a foreign language classes for students who do not have a B1 level of French. Please download: Reims campus calendar (PDF, 27 Ko). Through this French-language programme, students explore the history of the African continent and Africa-related democratic, demographic, environmental, economic and urban development issues and conflicts. Students can also learn languages spoken in the region: Arabic, Portuguese or Swahili. The Reims campus accommodates more than 1,000 students, over half of whom are from outside France. This cultural diversity makes the first two years on campus an international experience in itself, which is capped off with the third year abroad studying at one of Sciences Po's 470 partner universities or with a dual degree. 6 International dual Bachelor's degree programmes: Columbia University, University of California Berkeley, University of British Columbia (UBC), National University of Singapore (NUS), University of Hong Kong, University of Sydney. Campus life is also kept vibrant by the vast range of clubs and associations on offer and many events throughout the year. Students are able to initiate and take part in debates, conferences, study trips, and sports and cultural events, giving them a strong sense of empowerment. They are also encouraged to get involved in initiatives focused on the local community and citizen engagement. Students on the campus enjoy very close attention from the faculty for both their studies and extra-curricular activities. The campus is housed in a magnificent seventeenth-century building—the former Jesuit College—near the famous Reims cathedral. A real historical monument and architectural wonder, the College was renovated so as to preserve the stones, woodwork, stained glass windows and paintings of the period, while integrating the modern spaces (classrooms and library) required to offer all the services and features of a world-class campus. 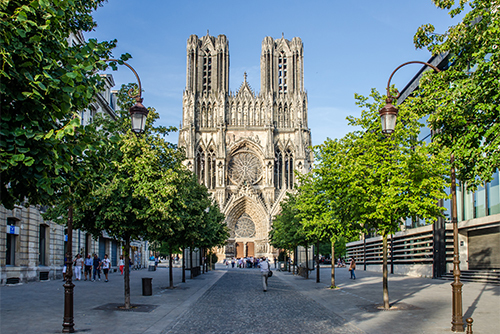 Reims is a Gallo-Roman city that has occupied an important place in France’s history: a Roman capital, it was also the city where the French kings were coronated. After heavy bombing during World War I, it was rebuilt in an Art Deco style that makes it one of the jewels of French architecture. Three monuments in the city are listed as Unesco World Heritage sites: the Cathedral, the Palace of Tau and the Abbey of St-Rémi. Apart from its history, Reims enjoys an international reputation thanks to the prestigious houses of Champagne, of which most estates are within the city. The Champagne hillsides, houses and cellars have been on Unesco's heritage landscapes list since 2015. 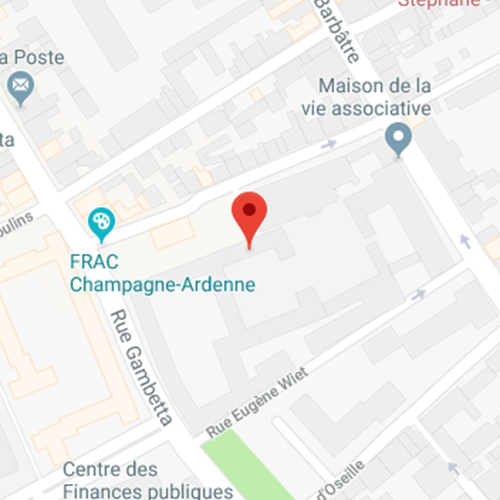 Reims, a city of more than 180,000 inhabitants just 45 minutes by high-speed train from Paris, is also an important university centre with many sports and cultural facilities nearby, affording students an excellent quality of life in pleasant surroundings.